Susi Amendola is the National Director of Stress Management for the prestigious Dean Ornish Program for Reversing Heart Disease Without Drugs or Surgery in hospital sites around the country. For the past 20 years her work with the Ornish team has inspired and informed her teaching. She is a certified Yoga instructor through the Himalayan Institute and holds an ERYT 500 with Yoga Alliance. She is also a member of IAYT (International Association of Yoga Therapists). As part of her early training and introduction to Yoga, she lived as a resident of the Himalayan Institute where she served as the Director of the Institute’s Ayurvedic kitchen. Later she founded the Omaha Yoga & Bodywork Center one of the first Yoga centers in the Heartland, where she currently teaches classes, trains teachers and directs programs. For the past 25 years she has been training teachers and now offers both 200 and 500 hour teacher certification programs. 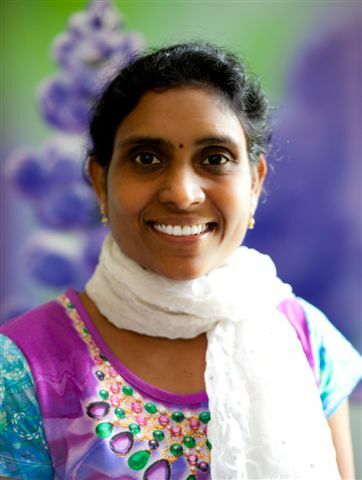 Susi is a skilled yoga therapist whose heart centered approach to teaching blends Ayurvedic principles with her knowledge of Hatha and Raja Yoga. She has developed yoga-based Stress Management programs for schools, businesses, and hospitals throughout the country and has traveled and lectured extensively. Lilith Bailey-Kroll, MFA, E-RYT 500, After completing her MFA at Carnegie Mellon University, Lilith Bailey-Kroll found her calling creating new possibilities to support health and wellness through yoga. By incorporating innovative business techniques, Lilith discovered the necessity for a network of partnerships that assist in spreading the message Yoga Is My Health Insurance. Leigh Blashki is the director of the Australian Institute of Yoga Therapy, the President of Yoga Australia, a member of the Council of Advisors for both IAYT and AAYT and part of the IAYT Accreditation Committee. He was instrumental in establishing competency standards for yoga therapy in Australia and brought that experience to the IAYT educational standards committee. Julie Carmen, MA is a Licensed Marriage and Family Therapist and Associate Director of Mental Health at Loyola Marymount University Yoga Therapy Rx where she teaches Assessment and Treatment Planning for Anxiety and Depression. From 2001-2003, she designed and implemented the Yoga Therapy and Drama Therapy departments of Passages Dual Diagnosis Residential Treatment Center and was the yoga therapist at Monte Nido Eating Disorder Center for four years. She taught a popular community class at Exhale for twelve years and designed the Yoga for Hormones protocol for Suzanne Somers who she\’s been teaching privately since 2002. Julie wrote monthly feature articles for LA Yoga Magazine. The Board of Behavioral Sciences approved Julie as a provider of Continued Education for anyone licensed as LMFT, LCSW, LEP in California. Lisa Galiza E-RYT200, CYT, POLY, is a student of her brother Larry Payne Ph.D., founder of Samata International Yoga and Health Institute and founding director of Yoga therapy Rx and Prime of Life Yoga programs at Loyola Marymount University. She completed the Prime of Life Yoga training program as well as advanced training in Yoga therapy. Peggy Kelly Lucky to have found Iyengar's Light on Yoga before she turned 20, Peggy has continued to study the Iyengar method wherever she lived since (Massachusetts, Canada, Texas, India, Mexico). She was one of the original board members of the Iyengar Yoga National Association of the US in 1990, and continues to serve the associations in both the US and Mexico as an assessor in the education process. 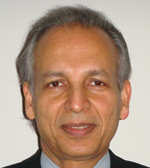 Suhas G. Kshirsagar, BAMS, MD (Ayurveda, India), is a world-renown Ayurvedic physician & Educator from India born of a traditional Rig-Vedic family. He holds a M.D. in Ayurvedic Medicine, with a Gold Medal from the prestigious Pune University in India. He is an accomplished Ayurvedic physician, who has traveled worldwide popularizing Ayurvedic Medicine, setting up clinics, training health professionals and has provided Ayurvedic consultations for thousands of his patients. He is an internationally acclaimed motivational speaker, experienced Clinician, researcher & an insightful Medical Astrologer, who adds tremendous value to his clients and students alike. Michael Lerner, PhD, is president and co-founder of Commonweal in Bolinas, California. Founded in 1976, Commonweal has program interests in health, the environment and education. Commonweal’s focus is on healing and resilience. Signature programs include the Commonweal Cancer Help Program, an internationally recognized support program for cancer patients; the Institute for the Study of Health and Illness, offering “Healer’s Art” programs in 70 medical schools; the Collaborative on Health and the Environment, engaging 4000 partners in environmental health science dialogue; and The New School at Commonweal, offering free live conversations and podcasts with thought leaders of our time. A Harvard graduate with a doctorate from Yale, Lerner left teaching at Yale to found Full Circle, a residential center for at-risk children in Bolinas in 1972. He founded Commonweal in 1976. He received a MacArthur Prize Fellowship for contributions to public health in 1983. Charles MacInerney Charles MacInerney has been practicing Yoga for 40 years and offering Yoga Therapy for 25 years. He designed and implemented two hospital based Cardiac Yoga rehabilitation programs and has been both opening and closing Keynote speaker at Cardiac Rehabilitation Conferences. Charles taught yoga at a children's shelter and been Key-note speaker at both Child Protective Services and Adult Protective & Regulatory Services conferences. He partnered with a Travis County Judge to assess the benefits of Pranayama for at-risk-youth and presented at the Southwest Yoga Conference on Yoga For At-Risk-Youth. Other conferences he has presented at include the International Conference on Yoga for Positive Health, and the National Wellness Conferences from 1992-1998. Charles is cofounder and a director of the Texas Yoga Retreat & Yoga Therapy Conference, and the Living Yoga 200 hr Teacher Training Program.